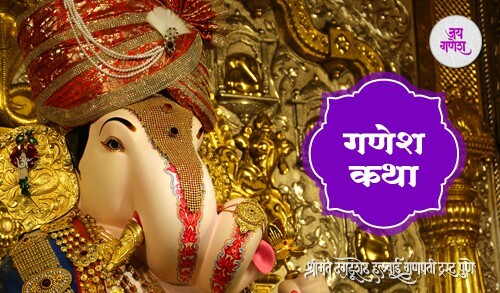 Dagdusheth Ganpati Pune offers ganesh katha. On the auspicious occasion of Vinayaki Chathurti a special katha is updated for all the Ganesh worshippers. ?Download Ganesh Katha (story) or Ganesh Mahatmya?. Currently the kathas are in Marathi.